Then came more food – we were spoilt for choice with everything from red velvet brownies, jammy dodgers and, er, curiously formed apple pigs on offer (that one's Becky's lovely handiwork). 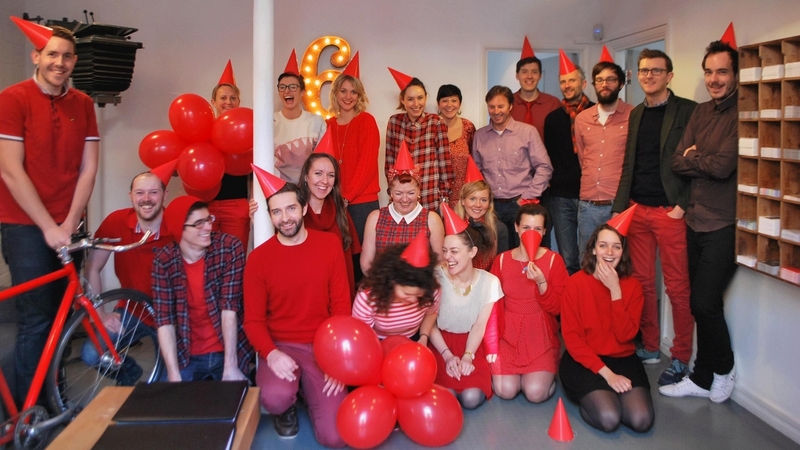 We loved injecting a bit of colour into our day – Ramp up the red is a fantastic way to fundraise. If you want to find out more about the British Heart Foundation's campaign please click the link here.